Are your budgeting and forecasting processes working as well for you as they should? Probably not, because many organizations report that these activities consume tremendous amounts of time and yield only marginal benefits. In this course, you will learn how to achieve a greater return on your budgeting and forecasting investment by taking advantage of various tools and techniques available in today’s market. 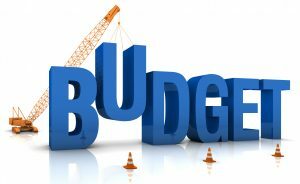 In addition to learning how to utilize Excel more effectively, you will also learn about other tools, such as Budget Maestro, PROPHIX, and Host Analytics can improve budgeting results. Additionally, you will learn how to reduce your dependency on Excel to obtain better results in less time. Importantly, you will also learn how to account for risk and uncertainty in your models and why doing so is a best practice. If you are involved in budgeting and forecasting activities, you will not want to miss this opportunity to identify how to reduce the amount of time you spend on these tasks, while simultaneously increasing their value.